NieR: Automata – From its music to its heartbreaking story, NieR: Automata stuck with me well after the final credits rolled. While at first it seems like it only deals with the usual sci-fi questions like “can robots be people?,” it goes a lot further than that, especially in subsequent playthroughs (though I really wish they just called them “chapters” or something different so people wouldn’t think they’ve seen everything they need to see after just 2 endings!). 9S’s Japanese voice actor did an amazing performance, and made me grow to love the character though I initially found him pretty bland. I really hope Yoko Taro is able to make more games in this world, even if its just a remake of the original NieR! The Legend of Zelda: Breath of the Wild – I’m kicking myself for not being able to get my review of Breath of the Wild up before publishing this post, but it is what it is! Since I haven’t had the chance to gush about this game in a review, I’ll try to explain why I love it so much as briefly as possible (look for a full review very soon!). After having next to no experience with The Legend of Zelda games outside a few hours with Wind Waker and Link’s Awakening DX, I was never really caught up in the hype for Breath of the Wild leading up to its release. But after spending over 50 hours with the game on the Wii U (yes, not the Switch version! ), I constantly find myself thinking about how wonderful I feel playing it. The open world is beautiful, and peaceful in a way I don’t expect from a lot of video games. Exploring in Breath of the Wild has been one of my favorite things to do all year. I can’t say that about a lot of other games! Danganronpa V3: Killing Harmony – I had very mixed feelings about there being another Danganronpa game when Danganronpa V3 was first announced, mostly because I wasn’t confident anything could top the amazing game that was Danganronpa 2: Goodbye Despair. I still don’t know that Danganronpa V3 is better, but the fact that there is any debate in my mind about which game I prefer means that Danganronpa V3 is an incredible game. There were a lot of Dangaronpa fans that were very unhappy with the ending, but I absolutely loved how it messed with player expectations and dealt with themes that not many games tackle. I thought NieR: Automata would be the most thought-provoking game of the year by far, but Dangaronpa V3 is right up there with it! Fire Emblem Echoes: Shadows of Valentia – Like Breath of the Wild, Fire Emblem Echoes is the first game I’ve played in a long-running series that has seen a lot of praise. Since Fire Emblem Echoes is a remake of Fire Emblem Gaiden, which originally came out in 1992, there are a few rough spots that hint at the fact that it wasn’t built from ground up for a modern audience. If you want to read more of my thoughts about any of the games on this list (besides Breath of the Wild) I’ve included links to my reviews! Kemono Friends – I can easily file this in “most surprising favorite of 2017”! I never thought a show about cute anthropomorphic animal girls hanging out would be my kind of show, but Kemono Friends has the best mix of sweet friendships and positive messages with none of the ogling camera shots that turn me off other traditional “moe” shows. Plus, throughout the series there are hints about the reason why the world is populated by talking animal girls, and it’s really interesting. Don’t let the weird animation turn you off – Kemono Friends was clearly made with a lot of care, which is amazing considering its origins as a tie-in product for a mobile game that was defunct before the anime even started airing! Ancient Magus Bride – I’m cheating a little on this one, because I actually didn’t get a chance to start watching Ancient Magus Bride until January. But I’m glad I did, because it blew most of the other anime I watched in 2017 out of the water. It’s a beautiful dark fantasy, so dark at times that I feel it’s worth warning that there are some pretty disturbing episodes. But I love seeing the darker side of traditional fairy myths in an anime! I’ve also been reading the manga, which is really great as well. The main character Chise’s gradual shift from not wanting to live to developing meaningful connections with others is really touching. Jojo’s Bizarre Adventure – After having Jojo’s Bizarre Adventure on my to-watch list for pretty much as long as the anime has been out, 2017 was the year my husband and I finally sat down and watched it. So even, though it’s not a 2017 anime, I’m going to count it… because we totally loved it! Every season has a different theme and mood, but they’re still interconnected, and it’s so whacky that it’s difficult to even imagine what might happen next. I was told that it’s okay to skip the first season because it’s a bit of a slog compared to the other seasons, but I’m glad I stuck through it since things that happen in the first season are referenced later on. But my favorite season by far is season two! I can’t wait until the next arc of the manga is adapted into an anime. 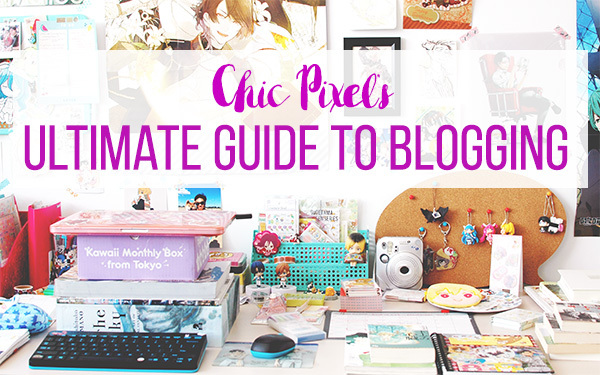 Chic Pixel’s Ultimate Guide to Blogging – I’d always wanted to do some kind of multi-part series that has an end, unlike my ongoing features such as the Community Game-Alongs or the much-neglected Japan Envy (note to self: bring back Japan Envy in 2018!). 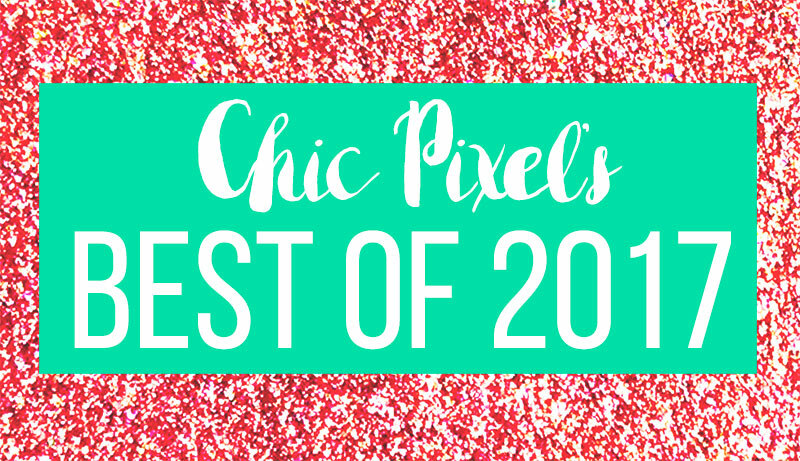 So, for February, I did a four part series all about one of my favorite topics: blogging! I’m really happy to have this guide to show people whenever they have questions about blogging. It sounds like it’s been helpful to some people so far, and that’s a really good feeling. Danganronpa V3: Killing Harmony Review – It may seem silly to talk about a review as one of my favorite things I did for the blog last year, but I’m really proud of this one! It took a lot of work for me to play though the whole thing quickly and post a review with a spoiler section. I say that, but it was a lot of fun, too! I’ve already gushed about Danganronpa V3: Killing Harmony enough for one post, but if you haven’t read my review yet, I’d be thrilled if you did! Tokyo DisneySea Vlog – I tried vlogging when Mr. Sushi and I went to Japan, and this is my first video! It was kind of hard to get enough footage for a video because I’m horribly shy in public, but I’m really happy that I stepped out of my comfort zone and filmed enough to make this video! I have tons of footage of the rest of our Japan trip, so expect more vlogs very soon! It just takes so long to edit them… The added bonus of vlogs for trip like this is that it makes a really nice way to look back and remember all the fun times you had! Hobonichi Techo – This was my first year using a Hobonichi Techo after wanting to start journaling more seriously for quite a while. I quite didn’t manage to fill out every day (there is one entire page per day in the classic version), but I loved it none the less! It’s so relaxing for me to write, draw, and collage in it, so I try to take 30 minutes a day as often as possible to work on my entries. 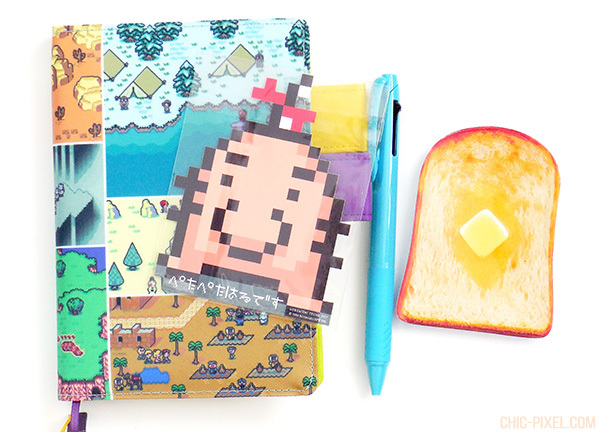 I posted a look at my Earthbound Hobonichi cover as well as numerous flip through videos throughout the year, and I hope to continue the flip throughs into this year! Romoss Power Banks – Normally, I’m pretty wary about being approached by companies I don’t know for reviews of their products. 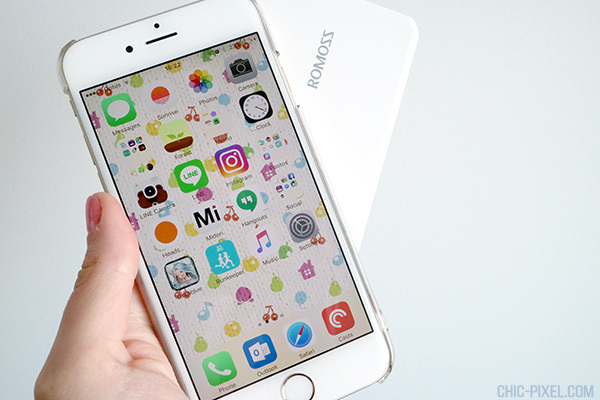 When Romoss asked me to write about their power banks, my first thought was, “How can I possibly tie this in to the theme of my site?” But then, the lightbulb moment happened. Of course folks who read Chic Pixel would use power banks! You definitely need them if you do any serious gaming on your phone, and they’re really helpful when traveling. In the end, I was really happy with my review coverage, and I ended up bringing both power banks on my trip to Tokyo, and they were super helpful! My PhD – This is a little weird to put under “things,” but 2017 was the year I finally finished my PhD! Right at the end of December, I got my diploma in the mail, and I definitely cried a little. It was a massive project that took me 5 years to complete, but I’m glad I stuck with it. If you’d like to read it, feel free to email me! 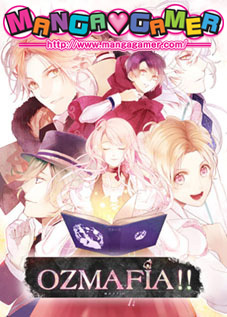 Or if a giant thesis sounds too daunting, my “Centaur in Salaryman’s Clothing: Parody and Play in est em’s Centaur Manga” article is actually part of of my chapters (modified, of course), so you can read it and get a general idea of some of the things I talk about. Nintendo Switch – Up until Splatoon 2 came out in July, I was actually pretty convinced I wouldn’t pick up a Switch until at least 2018. I played The Legend of Zelda: Breath of the Wild on the Wii U and was perfectly happy with it, so I naively thought I’d hold off on the Switch for a while. Normally I’m really apprehensive about picking up a console so early in its life, but I caved right after I submitted my thesis (which happened to be right before Splatoon 2 came out), and I’m so glad I did. It’s such a wonderful system! I can’t wait to see what games come out for it in 2018. So, while I’m happy to move on from 2017, it turns out there were some great things amidst all the anxiety and terrible world news. I feel it’s also worth noting that Australia finally legalized gay marriage in December, too! I’m so happy for all my LGBTQ friends who live here that can now get married if they choose. 2018 is going to be a year of change for me, as I’m shifting into full time freelance Japanese to English translation and writing. 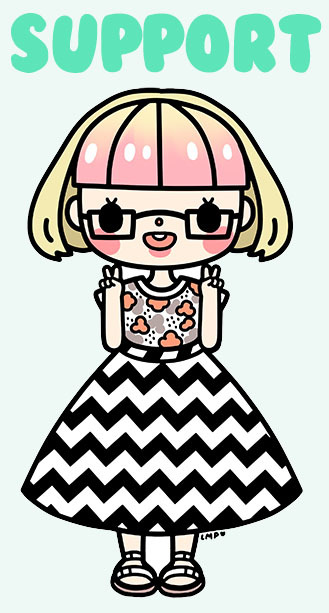 You may have already seen some of my work at ZAM, such as my Animal Crossing: Pocket Camp interview translation article! Stay tuned for more of my projects to be released in the upcoming months. What are your hopes for this year? Let me know in the comments! Did you enjoy this post? Tip me a coffee to help support the site!